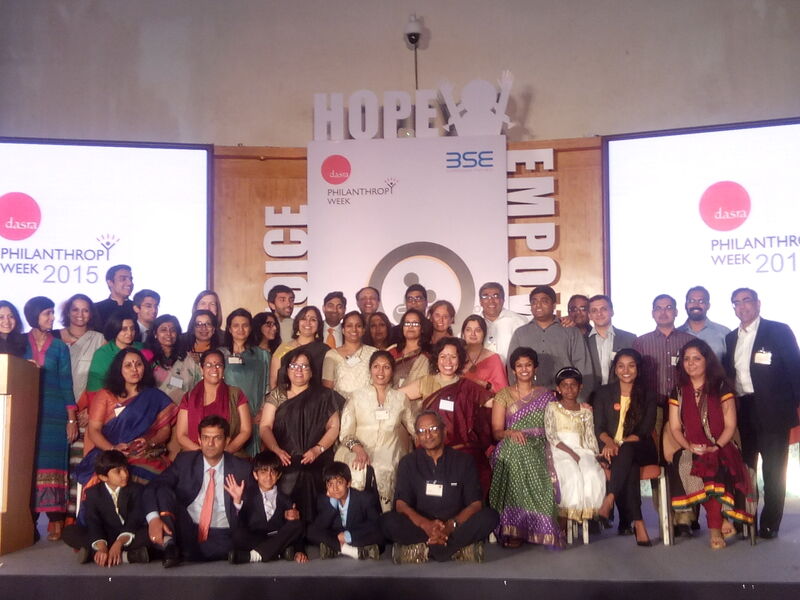 Anusha Bharadwaj, our Executive Director graduated the Harvard-Dasra Social Impact Leadership Programme in March. Come May, Anusha will complete one year as leader of the young team at VOICE. She reflects on learnings and unlearnings over the past year. I joined VOICE 4 Girls in May 2014, with more than a decade’s experience in the development sector. I had worked in middle and senior positions in child and youth development organisations earlier and I felt ready to take on the challenge of heading VOICE. But I was also apprehensive. Thankfully, VOICE enrolled me into the Harvard – Dasra Social Impact Leadership Program (DSILP) as soon as I joined. The programme was in its first year and aimed to build leaders with the insight, vision and skills to lead their organisations to change. As part of the first cohort, I was to attend four week-long session over the year and learn about leadership, strategy, branding, sustainability and legacy. The timing was impeccable – Harvard and Dasra would be onboarding me for my new role! As a graduate of the Institute of Rural Management in Anand, Gujarat, I had begun my journey as a social sector professional at the grassroots. My first few jobs had taken me to remote parts of rural and tribal India and introduced me to local communities. I lived and worked with common people who struggled for their basic rights. Each one of those experiences had shaped me, my perspectives and my relationships. Every journey I took had been one of learning and unlearning. The DSILP was to be another such journey. It introduced me to an inspiring peer group — directors, CEOs and founders of organisations — of individuals that dreamt of creating a better world. Every one of them had combated personal struggles and organisational issues to build institutions of repute and character. The programme also brought me face to face with people in history, who had dared to swim against the tide and emerged victorious. One story that has stayed with me is of Ernest Shackleton, a polar explorer who led four expeditions to the South Pole in the early 1900s. His leadership had brought people together and inspired them to dream a dream that seemed impossible and foolish. Shackleton taught me that being a leader means to be resilient and in charge even in the grimmest situations. I learnt from him that a true leader inspires people to exploit their own potential and be game changers. Anusha at the Harvard-Dasra Social Leadership Programme graduation ceremony. I came back from the programme, inspired to lead VOICE to be not just a successful organisation, but one that is synonymous with adolescent girl empowerment! I am determined to create a generation of girl leaders that mobilise people to take action as a collective. I see them as the change agents, who work tirelessly to create girl friendly schools and communities, break gender barriers, and create a just and gender neutral society. My journey with the DSILP has transformed me personally and professionally. I congratulate Dasra and the Course Coordinator Neera Nundy, an inspiring social enterprise leader herself, for curating an amazing program. More than anything, my first year at VOICE and the leadership programme have taught me to be humble. I am convinced that leadership cannot exist without humility and the belief that a group of people can create change together. I am convinced that a leader rarely comes alone and I am honoured to work with the inspiring team at VOICE. With them by my side, an adolescent girl revolution is possible!